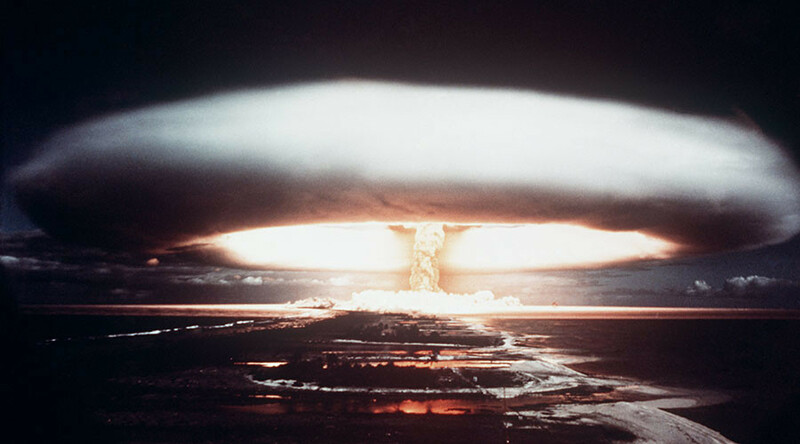 Artificial intelligence, nuclear weapons and the proliferation of other deadly arms will be on the minds of Doomsday Clock scientists when they assess the damage of 2017 on the Earth, later this month. 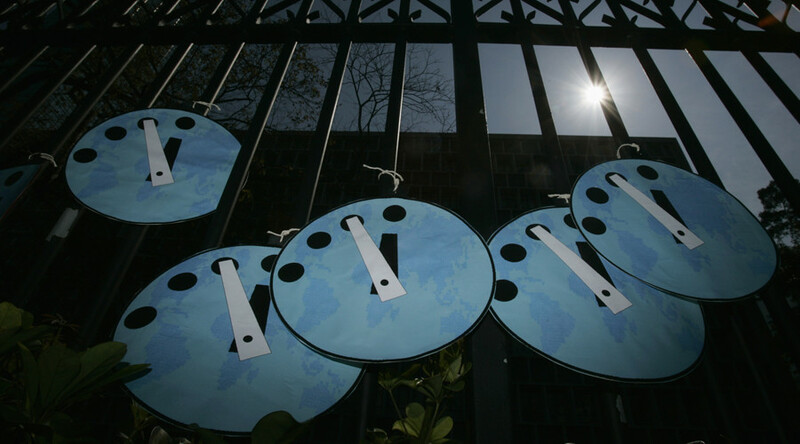 The Doomsday Clock announcement has become an iconic and foreboding event, thanks to its ability to remind watchers of the timepiece of spectacular, and potentially disastrous, mistakes made by the human race. Created by Manhattan Project scientists who developed nuclear weapons and had grown troubled by the destructive power of their work, the clock measures the likeliness of the world befalling a man made catastrophe. Midnight represents almost total disaster or an apocalypse. 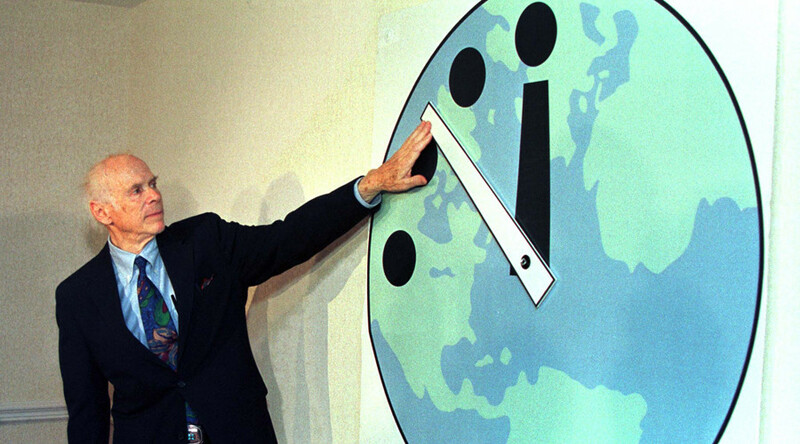 According to the Bulletin of the Atomic Scientists, which maintains the hypothetical timepiece, the clock is based on changes in the fields of nuclear weaponry, climate change and emerging technologies. So it’s conceivable that North Korea’s long-range missile tests, the deteriorating relationships between nuclear superpowers the US and Russia, and the improvements to AI technologies in 2017, will impact this year’s results. The clock originally featured in a magazine back in the 1940s, when nuclear arms were first becoming a global fear, before transitioning online. Currently, the clock’s hands points to two-and-a-half minutes to midnight. However, that could all change later this month when the latest clock strike is expected. Will the big hand go backwards, representing a respite from disaster? Or have terrible developments in 2017 pushed mankind closer to the brink? In its first guise as a magazine cover, the Doomsday Clock read 7 minutes to midnight. The clock has moved back and forth ever since. The furthest away from midnight it has ever been came in 1991, thanks to the end of the Cold War, when it struck 17 minutes to midnight. 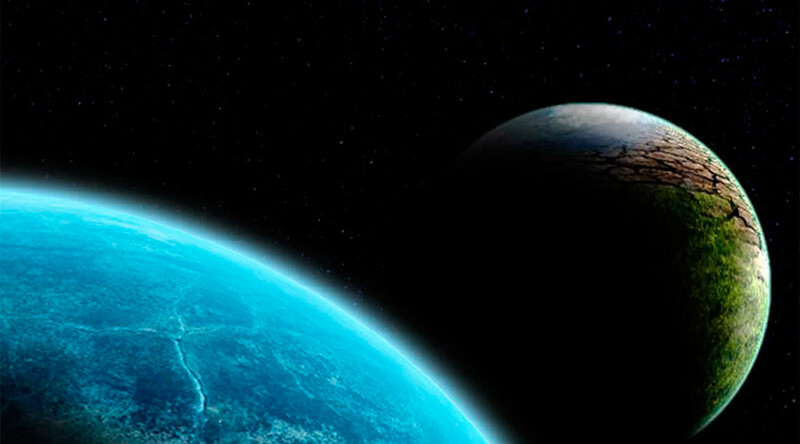 Last January scientists set the clock to the closest it has been to midnight in history. 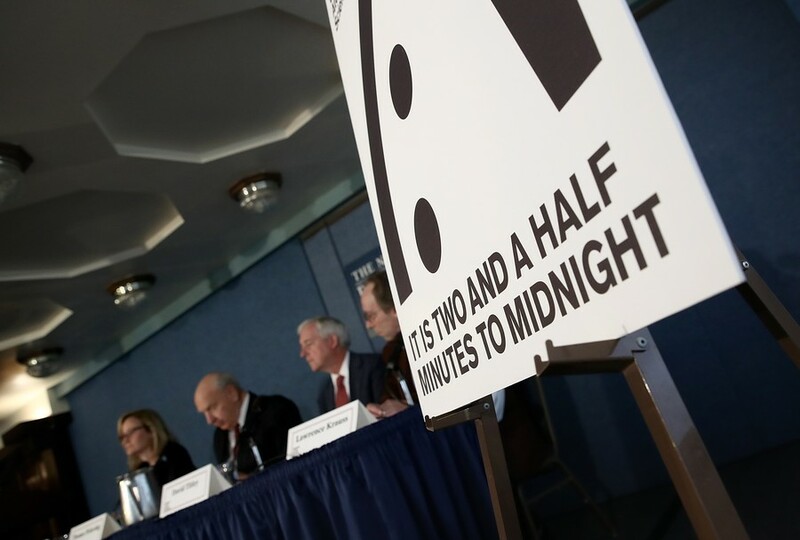 In its report, the Doomsday Clock’s science and security board, which currently includes senior researchers from Stanford, Harvard and Oxford Universities, gave a dire warning. 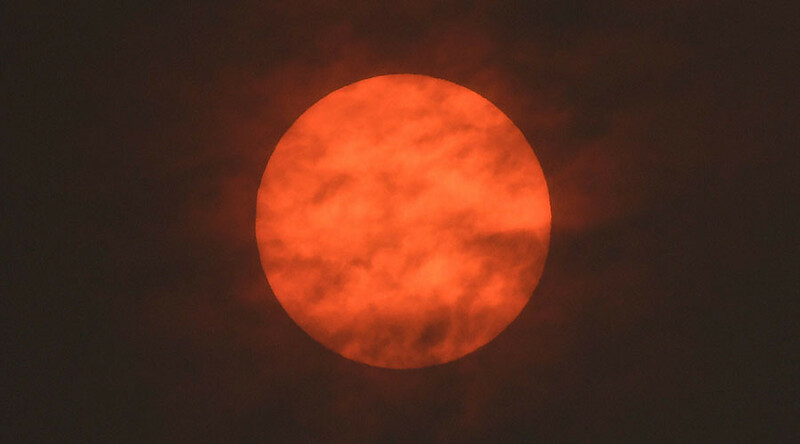 “The probability of global catastrophe is very high, and the actions needed to reduce the risks of disaster must be taken very soon,” the board said. The latest Doomsday Clock announcement is scheduled to take place at the end of January.